$2,200.00 This may be in stock for quick delivery; please call! 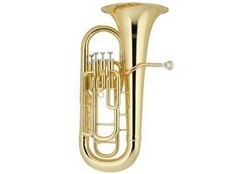 Very centered when held, this baritone has an intense baritone voice with excellent pitch center and intonation. Large shank mouthpiece receiver. Silver plate. Heavy duty marching case. $2,489.00 This may be in stock for quick delivery; please call! 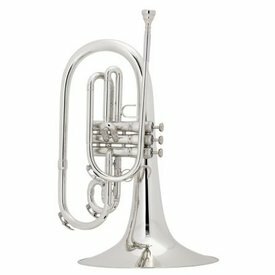 Quite possibly the easiest mellophone to play. 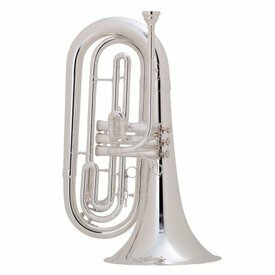 Some recent modifications to this instrument have many players and educators appreciating the tonal center of this mellophone. Great projection for the alto voice. Heavy duty marching case. $1,889.00 This may be in stock for quick delivery; please call!